Mainstage evening show begins at 7:30 pm, with a pre-show live mariachi concert beginning at 6:30 pm in the lobby and moving to the auditorium at 7 pm. 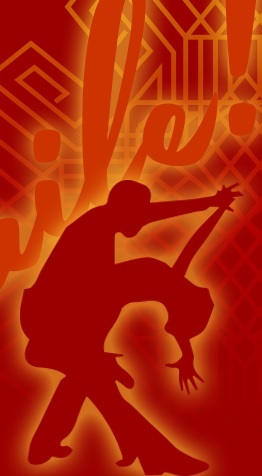 Come early and enjoy a full night of music and dance! 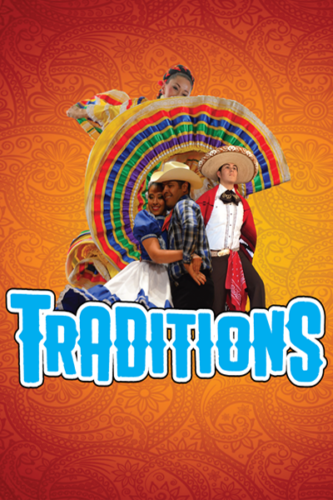 Traditions is a folkloric dance showcase featuring three New Mexico ensembles, including Ballet Folklórico Santa Fe, Albuquerque’s Grupo Folklórico Desoluna, and northern New Mexico’s Baile Ilusión, accompanied by Banda Neluayotl from Chihuahua, Chihuahua, Mexico. The participating groups will focus on presenting traditional pieces that represent the beautiful, authentic dances and music of Mexico. Thank you to our event sponsor, Home Instead Senior Care and to our Performing Arts Season Sponsors Heritage Hotels and Resorts, the Albuquerque Journal and Southwest Airlines! Award-winning dance company marks world-class premiere! 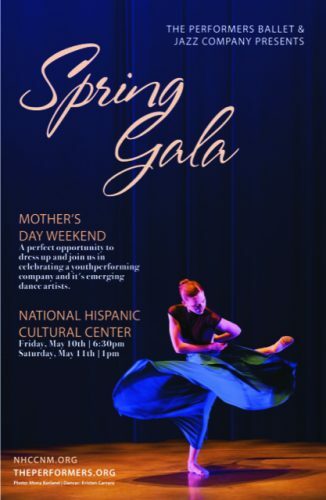 The Performers Ballet & Jazz Company, an Albuquerque-based dance company operating since 1981, announces its premiere Spring Gala, running for one weekend only at the National Hispanic Cultural Center. Featuring 65 classically trained dancers in new and re-staged classical and contemporary works, this avant-garde production by the highly acclaimed company will redefine concert dance in our city. The performance will also showcase a renowned collection of classical ballet repertoire. Choreographers include Alex Ketley, Artistic Director of The Foundry, San Francisco, CA, as well as local artists Karen Alwin, Andrea Basile, Wendy Miner, and Kelsey Paschich. The 5th Annual South American Folk Fair seeks to unite Albuquerque’s South American community in a day of cultural experience and connection through music, dance, and food. 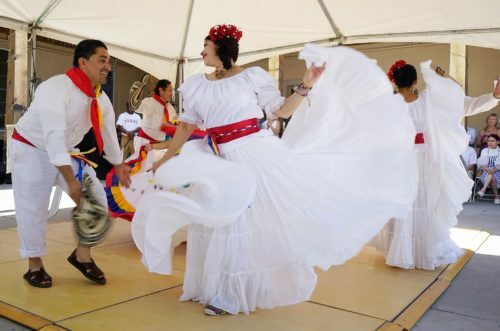 In addition to food vendors from participating countries, the festival will feature traditional dancers representing Colombia, Peru, Venezuela, Chile, Brazil, Argentina, and/or Ecuador. The band Panchangara will be featured, along with local musicians. Added attractions for the entire family include children’s art workshops and opportunities for souvenir photos featuring the festival banner. Thank you to our Performing Arts Season Sponsors Heritage Hotels and Resorts, the Albuquerque Journal and Southwest Airlines! 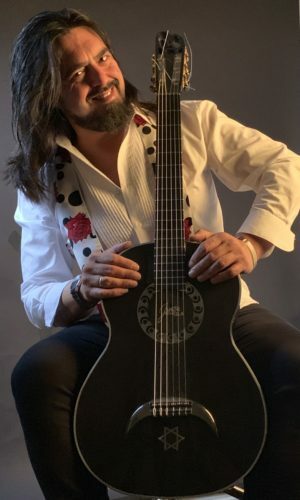 Internationally known Juani de la Isla is a master flamenco guitarist from the island of San Fernando near the port city of Cádiz, in southern Spain. He began his musical education studying with the great flamenco singer Rafael Romero, has been a student of the celebrated flamenco guitarist Manolo Sanlúcar, and has also been trained in the gypsy flamenco style of Morón—a small pueblo in the heart of Andalucia’s flamenco country. During his career, he has accompanied some of the greatest flamenco artists of this century, including singers Jose Mercé, Chato de la Isla, Juan Villar, Rancapino, Pansequito and Aguilar de Vejer, and dancers Javier Barón, Sara Baras and Manuela Carrasco. He has composed music for the flamenco dance company of Cristina Hoyos and for over a decade has been musical director for the popular flamenco singer “El Barrio.” His recording career includes participation on more than 100 albums with some of Spain’s finest flamenco artists, among them Jose Mercé, Joaquin Sabína, Paco Ortega, El Barrio and David de María. In 2015, he released his first solo CD, Libertad en Mis Manos. As a performer and teacher, Juani de la Isla has toured internationally. His concert at the National Hispanic Cultural Center is an extension of Flamenco sin Fronteras, Casa Flamenca’s introductory series of workshops in the rhythms of flamenco for musicians working in all musical genres. Juani de la Isla’s residency at Casa Flamenca is co-sponsored by Instituto Andaluz de Flamenco, Patrimonio de la Humanidad, “All Flamenco,” Brilliant Sounds, La Isla Ciudad Flamenca, Venta de Vargas, and San Fernando, Cádiz. The 14 workshops offered will feature different flamenco rhythms, with participants exploring ways to integrate flamenco into genres with which they are more familiar, and extemporaneous performances encouraged. The culminating event of this genre-bending collaboration will include workshop participants and selected local artists performing with Juani de la Isla. Please note that this performance has been rescheduled from April 27. Puerto Rican ensemble Trío Los Andinos, together with Mariachi Nuevo Sonido and pianist and violinist Mariano Morales, performs some of the most beloved compositions by Latin American composers. Much of Latin America’s romantic music has been written for, and traditionally performed by, trios, and the concert is designed to continue and preserve this tradition, as well as uniting the Americas through music. Los Andinos will perform as a trio, with individual guest artists, and with mariachi accompaniment, showcasing the repertoire from their CDs Los Andinos con Mariachi, De Puerto Rico a México, and Antología—Para Que No Me Olvides.